While all young people experience profound benefits from a mentoring relationship, some young people have experienced more barriers and require a mentor with more sophisticated training, support and a deliberate program design. Join us for a webinar to learn how to use this resource to start, enhance, or expand mentoring program for children or youth in care or receiving government supports in your community. 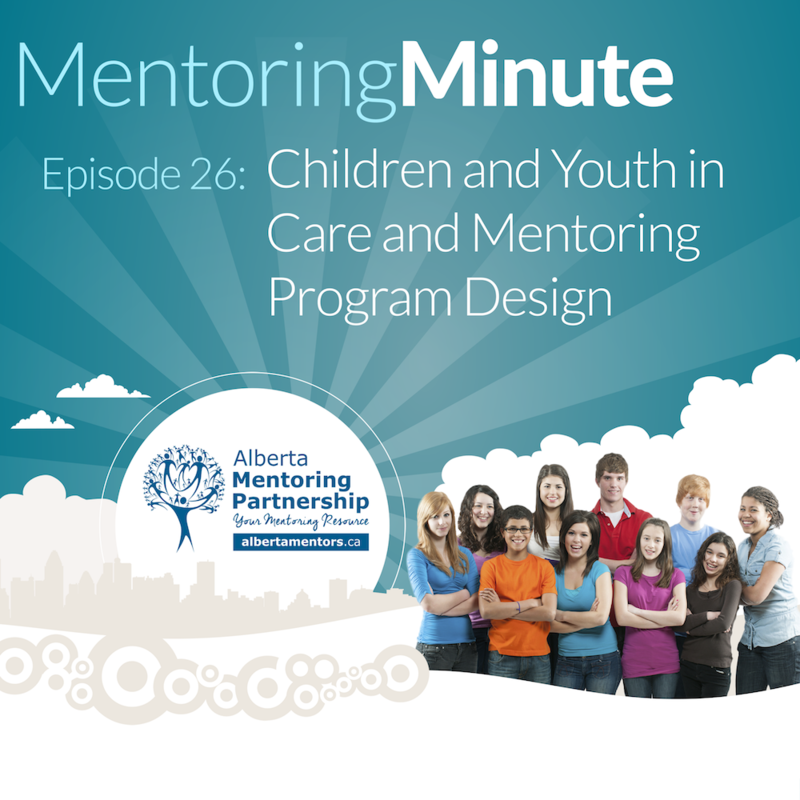 This resource is available as a no-fee benefit of your participation in the Alberta Mentoring Partnership and was compiled based on the experiences of prior youth in care mentoring projects across Alberta. Joining us is the author of the resource, consultant Michelle Anderson-Draper who will walk us through the highlights of this resource and how it can help you and your agency. Also joining us to provide a front lin prspective will be Jennie Carrier, the Youth In Care Mentoring Coordinator for Big Brothers Big Sisters of Calgary and Area. Please circulate this invitation to learn more and receive an advance copy of the resource. The role that significant adults can play in the lives of children and youth in government care is at the forefront of trauma informed practice. The act of building healthy, enduring, long term relationships and experiences between adults and young people is the essence of practice in youth mentoring. Using trauma informed practice and research-based practice from mentoring programs, three project sites in Alberta (Edmonton, Red Deer and Calgary) have developed and implemented significant approaches to effectively engage, connect and support children and youth in care with adult mentors. The Children and Youth in Care and Mentoring Program Design outlines these practices and highlights essential elements when establishing and implementing mentoring programs for children and youth in care. This document is intended to be used interactively with tools and resources developed throughout the duration of this project. Links to the Alberta Mentoring Partnership (AMP) website provide comprehensive information that can help to establish a mentoring program. Practices and learnings from this project continually evolve with increased organizational knowledge, research and system-level collaboration. The capacity to effectively engage and support children and youth in care through a mentoring model is advancing; new learnings and knowledge will be articulated through future documents and design. develop policies and procedures required when mentoring this unique demographic of youth as compared to mainstream mentoring programs.